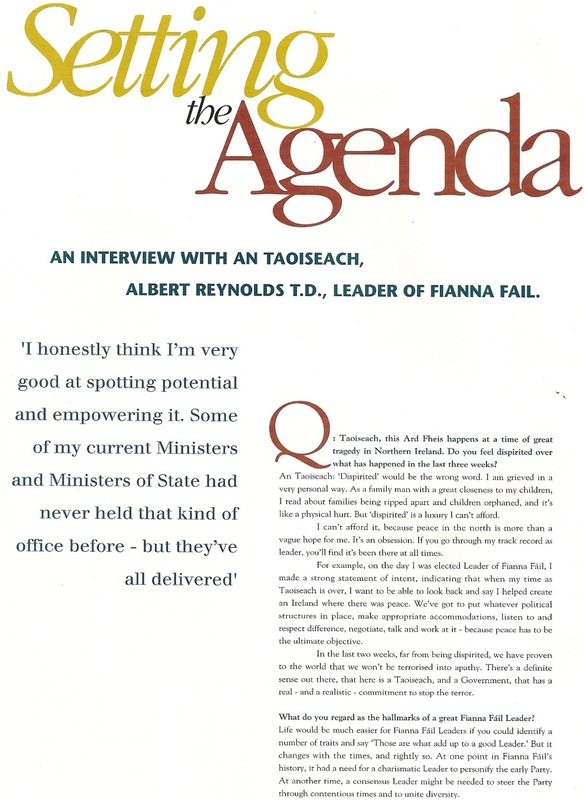 An interview with then Taoiseach and Fianna Fail leader Albert Reynolds from “Ceiliúradh an 60ú Árd Fheis”. 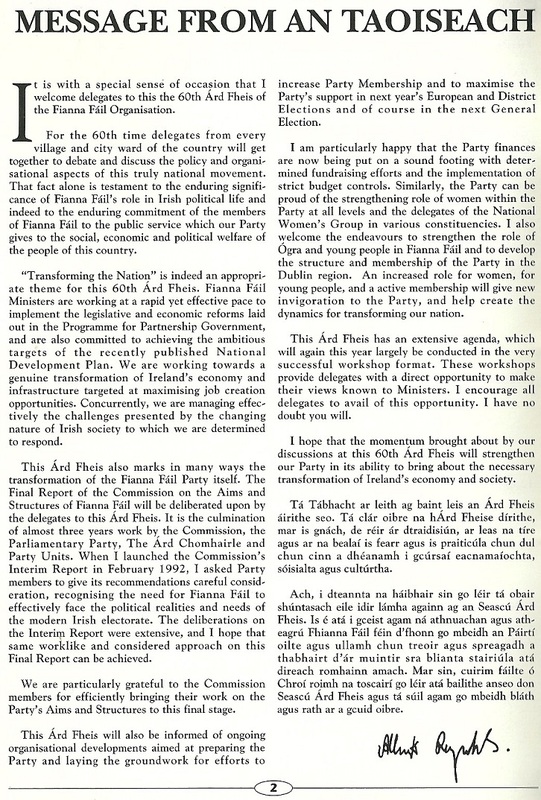 The publication was a special programme for the 60th Ard Fheis which contained some fantastic pieces on the history of the party, its TD’s ,Ministers and much more. 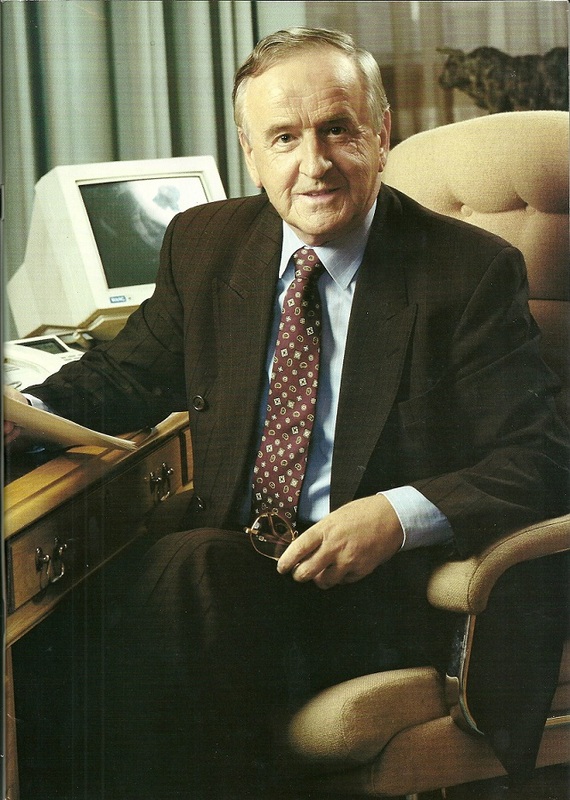 From the Clár of the 1993 Fianna Fail Ard Fheis The Message from An Taoiseach Albert Reynolds to delegates. 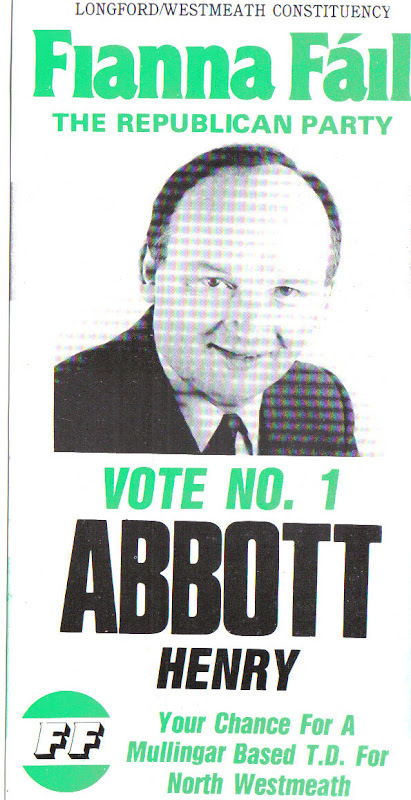 Some big names here in this 1987 election leaflet for Mary O’Rourke, Albert Reynolds and Henry Abbott. Reynolds a former Taoiseach, O’Rourke a former minister and leader of The Seanad, whilst Abbott became a high court judge. 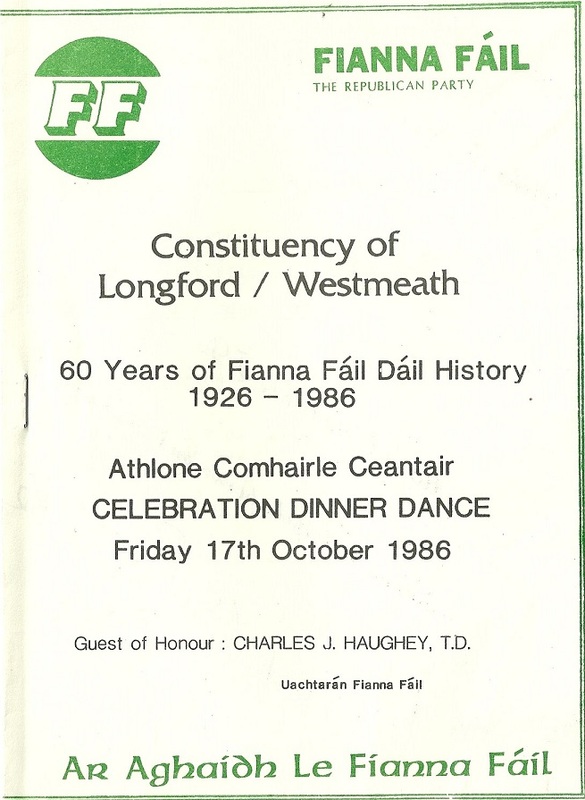 In this 1987 General Election, all three were elected in the four seat Longford Westmeath. Abbott lost his seat in 1989. 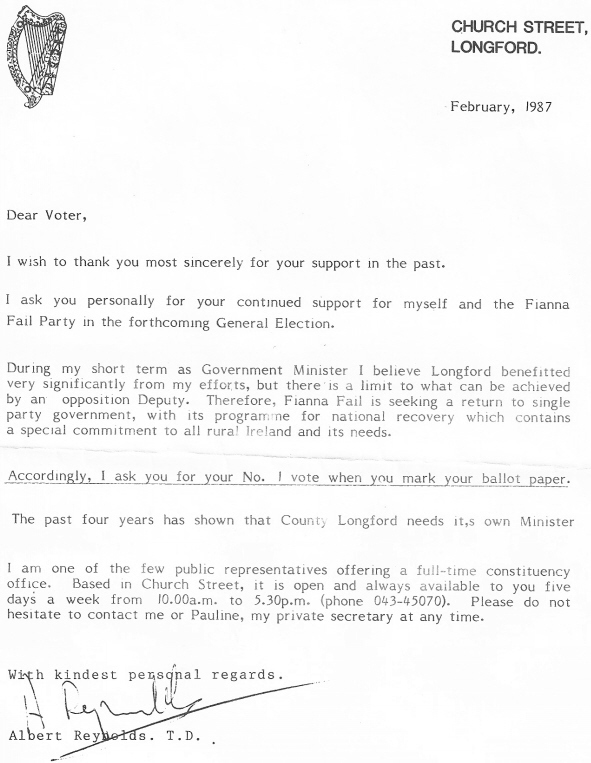 From the 1987 General Election campaign a letter from Albert Reynolds to voters in Longford Westmeath asking for support. I presume the letter was sent only in Longford as it has the plea that “..Longford needs its own Minister”. In the event Reynolds topped the poll and was duly appointed Minister for Industry and Commerce. Another member of the judiciary with a political past, Judge Henry Abbott. 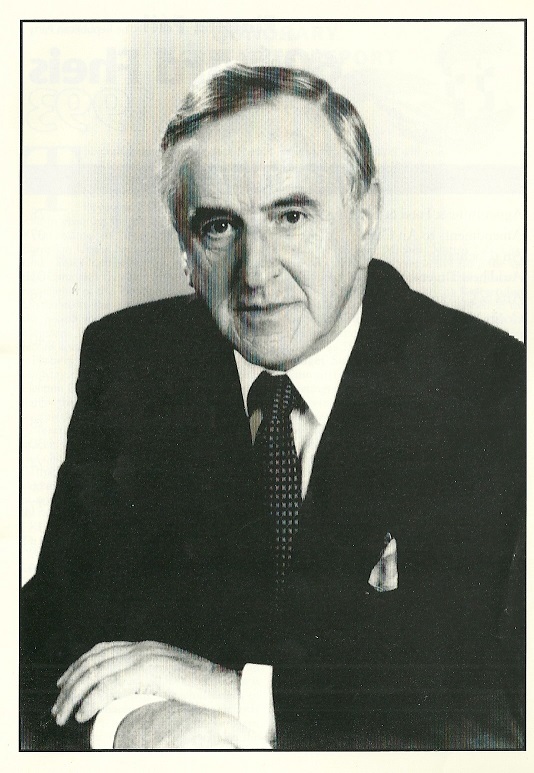 He had one term in the Dail in 1987 (where the specimen ballot paper below is from) before losing his seat in 1989. Note Helena McAuliffe Ennis has her occupation as ‘senator and housewife’. She was also the only Labour member of the Oireachtas to join the PD’s in the months after their formation.